132 pages | 2 B/W Illus. The rise of China has been shaped and driven by its engagement with the global economy during a period of intensified globalization, yet China is a continent-sized economy and society with substantial diversity across its different regions. This means that its engagement with the global economy cannot just be understood at the national level, but requires analysis of the differences in participation in the global economy across China’s regions. This book responds to this challenge by looking at the development of China’s regions in this era of globalization. It traces the evolution of regional policy in China and its implications in a global context. Detailed chapters examine the global trajectory of what is now becoming known as the Greater Bay Area in southern China, the globalization of the inland mega-city of Chongqing, and the role of China’s regions in the globally-focused belt and road initiative launched by the Chinese government in late 2013. The book will be of interest to practitioners and scholars engaging with contemporary China’s political economy and international relations. 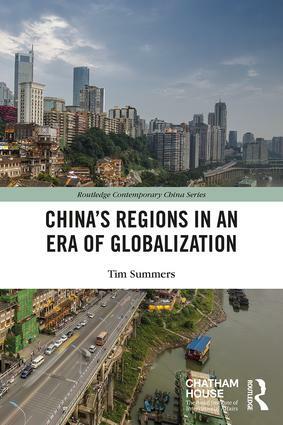 Tim Summers works on the political economy and international relations of contemporary China. He is a Lecturer at the Centre for China Studies, The Chinese University of Hong Kong, and a (non-resident) Senior Consulting Fellow on the Asia Programme at Chatham House. He was British consul-general in Chongqing from 2004 to 2007.